#AdventureDiplomacy: Great news coming in from Russia. 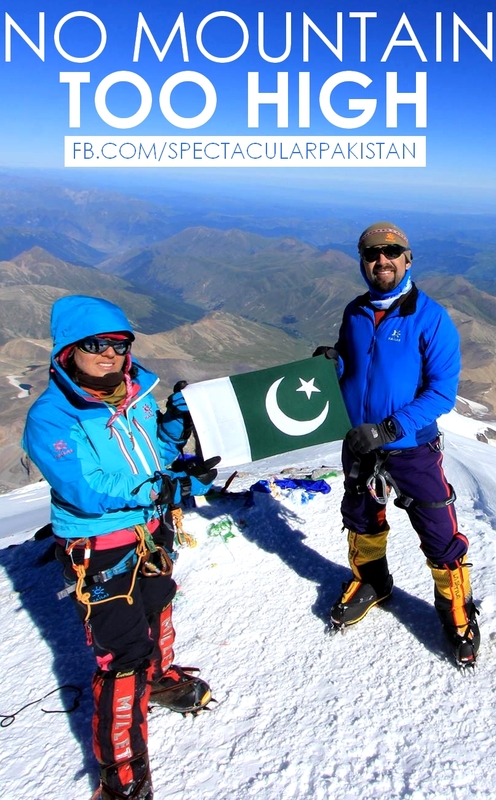 Samina Baig and Mirza Ali have successfully climbed Elbrus – highest mountain in Russia. Samina Baig becomes first women in the world to have climbed the highest peaks of all 7 continents. Mirza Ali will attempt to summit Mount Everest to create another record of the only siblings in the world to summit the highest peak in the world as well as the highest peaks in each of the 7 continents. He had abandoned his attempt previously just a few hundred meters from the summit to honor women equality. Pakistan is proud of you Samina and Mirza!